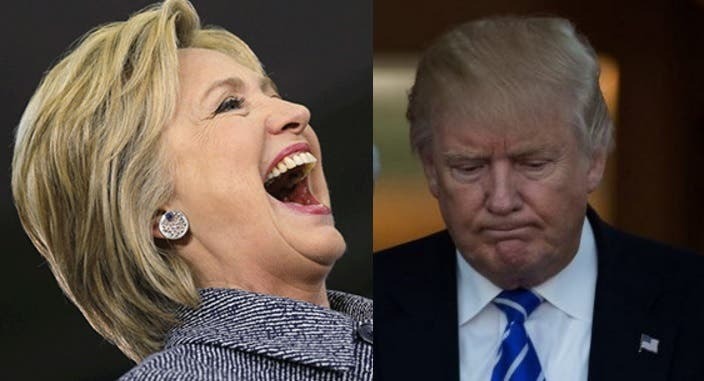 President Trump and the entire Republican Party spent the entire 2016 election cycle putting former Secretary of State Hillary Clinton into a public pillory over the poorly considered but ultimately harmless use of a private email server to store lightly classified information. “Lock her up!” chanted Lt. Gen. Michael Flynn, a man who shall soon find himself locked up. “Crooked Hillary Clinton and her team ‘were extremely careless in their handling of very sensitive, highly classified information.’ Not fit!” tweeted Trump. “Individuals who are ‘extremely careless’ with classified information should be denied further access to such info” smugly asserted House Speaker Paul Ryan (R-WI). Since the President and the Republican bigwigs have already established such deeply entrenched positions on the handling of classified information, it is painfully ironic that President Trump’s entire presidency has been an absolute disaster of stunning proportions when it comes to information security. GIZMODO teamed up with ProPublica to test the electronic security at President Trump’s favorite spots – his Florida mansion at Mar-a-Lago, his various golf courses – and what they found is extremely disturbing. We parked a 17-foot motor boat in a lagoon about 800 feet from the back lawn of the Mar-a-Lago Club in Palm Beach, and pointed a two-foot wireless antenna that resembled a potato gun toward the club. Within a minute, we spotted three weakly encrypted Wi-Fi networks. We could have hacked them in less than five minutes, but we refrained. A few days later, we drove through the grounds of the Trump National Golf Club in Bedminster, N.J., with the same antenna and aimed it at the clubhouse. We identified two open Wi-Fi networks that anyone could join without a password. We resisted the temptation. We also visited two of President Donald Trump’s other family-run retreats, the Trump International Hotel in Washington, D.C., and a golf club in Sterling, Va. Our inspections found weak and open Wi-Fi networks, wireless printers without passwords, servers with outdated and vulnerable software, and unencrypted login pages to back-end databases containing sensitive information. Trump and his staff might as well have left the proverbial door ajar with the key still in it and a neon sign that reads “HACK ME” for all the precautions he and his team have taken to fortify the electronic security at the places where Trump has spent the majority of his presidency. That wouldn’t be a problem if President Trump wasn’t spending the majority of his presidency playing golf and didn’t regularly hold meetings with foreign leaders and address diplomatic crises at his resorts. 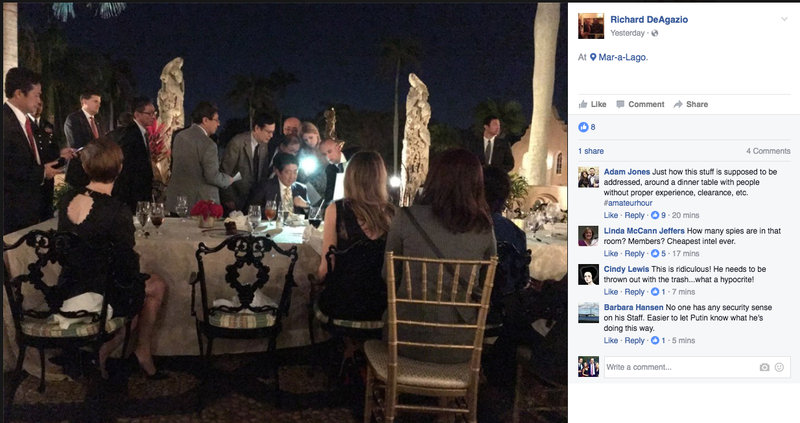 He infamously turned Mar-a-Lago’s dining room into an ad-hoc Situation Room while guests were still eating, disregarding the nearby secure tent and allowing his aides to use their unsecured cellphones to light up documents. Barely a month later, Trump decided to wave his proverbial manhood in the air when he decided to launch a very expensive but ultimately unproductive barrage of Tomahawk missiles at a Syrian Arab Airforce airfield in front of the Chinese premier – all from Mar-a-Lago. Or the fact that Trump left Gen. Michael Flynn in his position as National Security Adviser, with access to our nation’s most classified information, for weeks after they were informed that he was vulnerable to blackmail by hostile foreign powers. The partisan silence from the Republican Party on Trump’s conduct, which has been nothing but a security breach from start to finish, is an act of political hypocrisy so heinous it’s hard to understand how they don’t turn to a pillar of salt the moment they step into the capitol building. If “locking her up” is the consequence that the Republicans have deemed suitable for Hillary Clinton’s use of a private email server to store lightly classified information, it is difficult to conceive of a punishment sufficiently severe for a man who has flagrantly disregarded the most basic security precautions in his diligent efforts to spend his entire presidency on vacation.